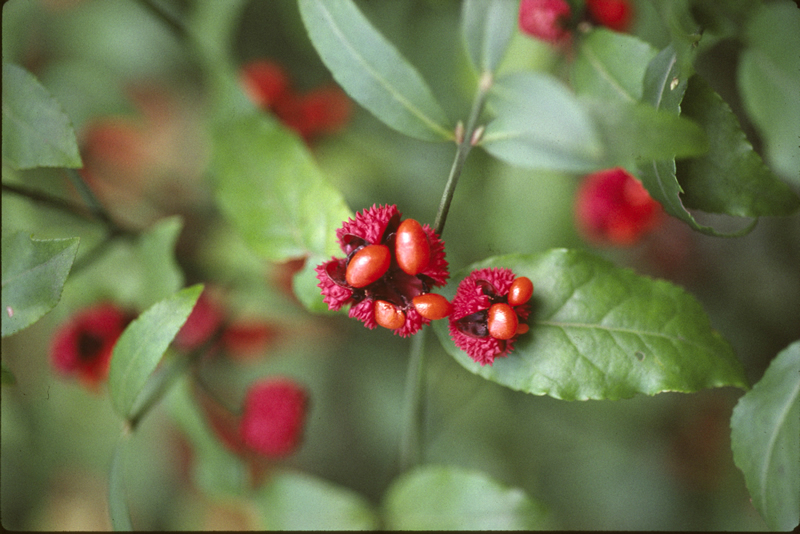 The strawberry bush is a fairly uncommon native shrub most noted for its bumpy, raspberry-red seed pods that hang on the ends of the stems and open to reveal smooth, orange seeds. Other striking features are its green bark and acute branching angles that provides interest throughout the year. Strawberry bush grows 6 to 8 feet in ten years and its habit is loose and open becoming fuller with pruning and exposure to the sun. 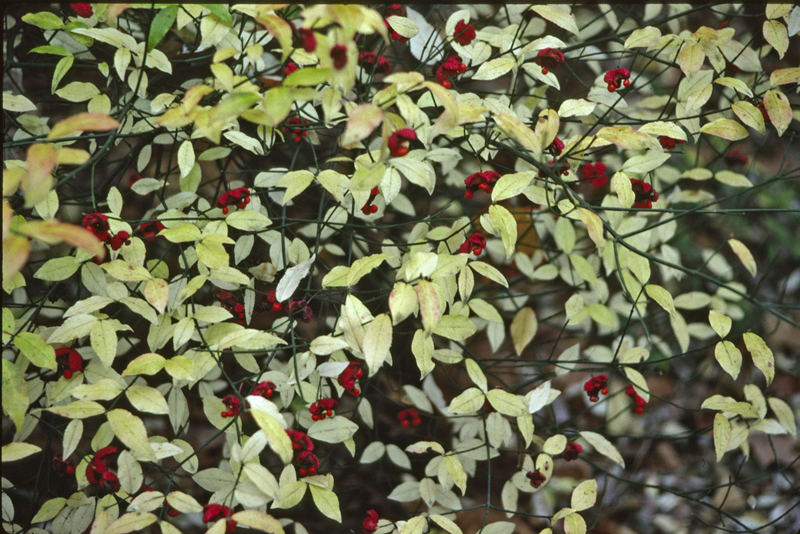 They make wonderful woodland plants as they thrive naturally along shaded streams, in river bottoms or in moist open woods across the eastern U.S. It has been reported that the bark and fruits are very toxic and should not be eaten. Despite its potential danger, Native Americans once used the roots to make a tea for stomach and urinary problems. Wild turkeys, wood thrushes, eastern bluebirds, yellow-rumped warblers, and northern mockingbirds consume and disseminate the seeds.